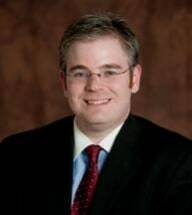 Partner, Kevin Owen is admitted to practice law in the state of Maryland and before the United States District Court for the District of Columbia, the United States District Court for the District of Maryland, the United States Court of Appeals for the Fourth Circuit, and the United States Court of Appeals for the Federal Circuit. Mr. Owen graduated with honors from American University's Washington College of Law and also holds a Bachelor of Arts degree in Political Science and Criminal Justice. While in law school, Mr. Owen served as the Note & Comment Editor for the American Bar Association's Administrative Law Review and was the recipient of the Don Monroe Casto Award for Outstanding Constitutional Scholarship. Prior to joining the practice with the Law Offices of Gary M. Gilbert & Associates, Mr. Owen served as a law clerk for the Office of Legal Counsel of the United States Equal Employment Opportunity Commission and for the Office of General Counsel of the National Treasury Employees Union (NTEU). Mr. Owen recently authored the articles, "Navigating the Federal Sector Mixed Case Claims Process", and "Litigating Adverse Actions Before the MSPB" in the Spring 2013 Edition of Trial Reporter, Journal of the Maryland Association for Justice.